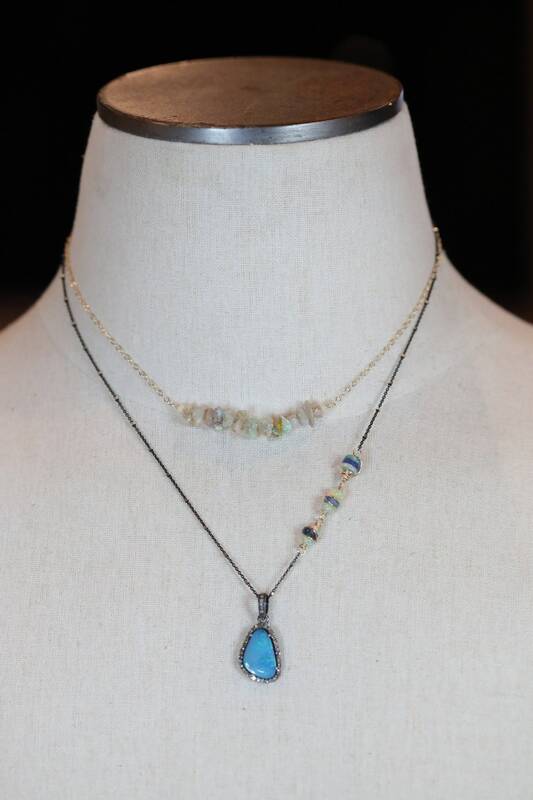 This is a genuine Australian Boulder opal with and a hint of green and red set in genuine pave diamonds and oxidized sterling silver. The chain is oxidized sterling silver satellite chain with bright sterling silver stations. 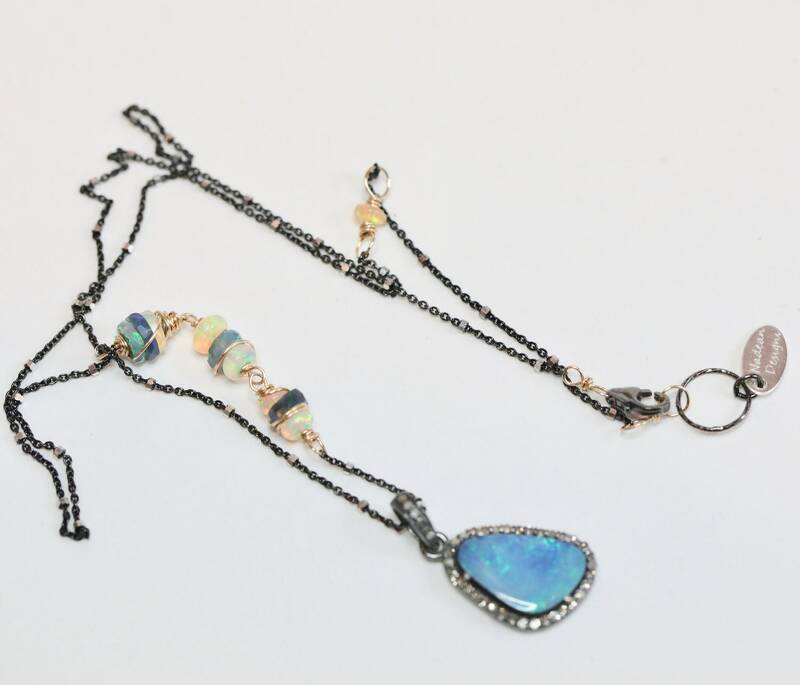 The mixed metal of 14K yellow gold filled and oxidized sterling silver with a hint of bright sterling silver accents the genuine diamonds and opals nicely.